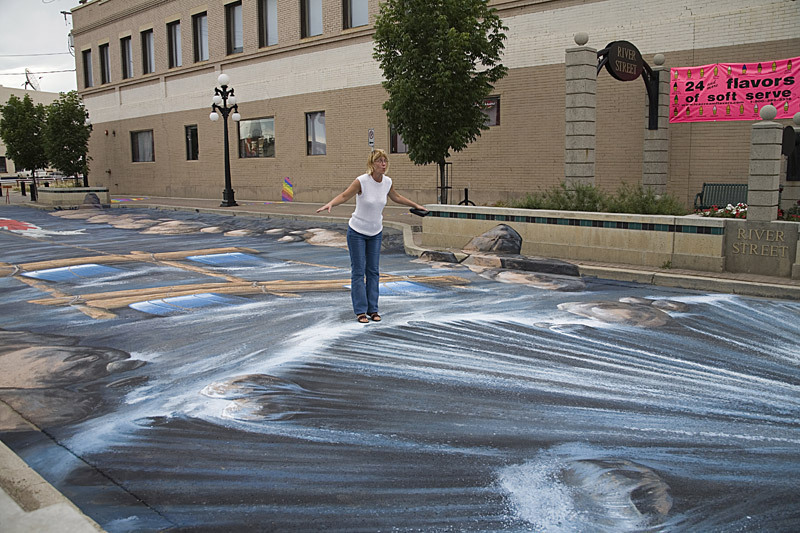 3D Chalk street artist. Nearly 1000 Square feet, this Mural takes up an entire block. 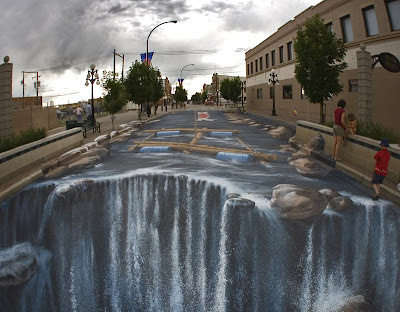 Brilliant 3D Artwork.